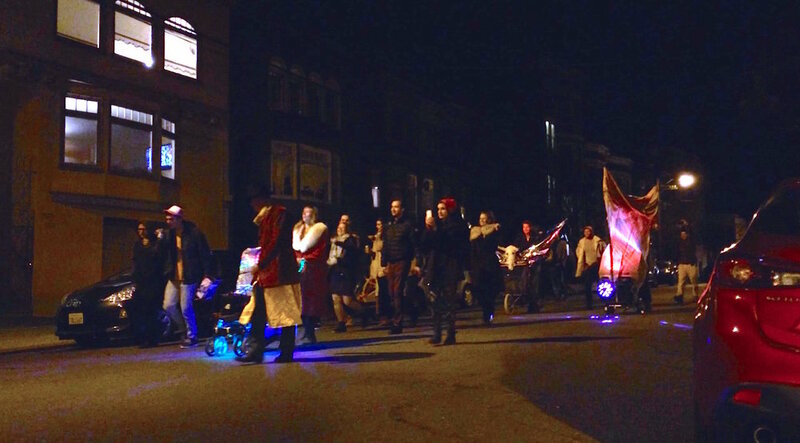 Whomp Baby is a populous street party technology that liberates dance parties from the confines of for-profit nightclubs and into the streets of neighborhoods. I design and builds Whomp Babies in conjunction with my community of friends, DJs, party Krewes, and local activists needing an amplified voice. Whomp Babies are constructed from baby carriages, jogging strollers, deep cycle batteries, power inverters, PA speaker systems, party lights, and fabric. For the 2015 New Years deployment, I made watercolor instructional pamphlets and distributed them to artist communities, Burning Man camps, punk houses and hacker spaces to spread the technology and encourage decentralized party collaboration. 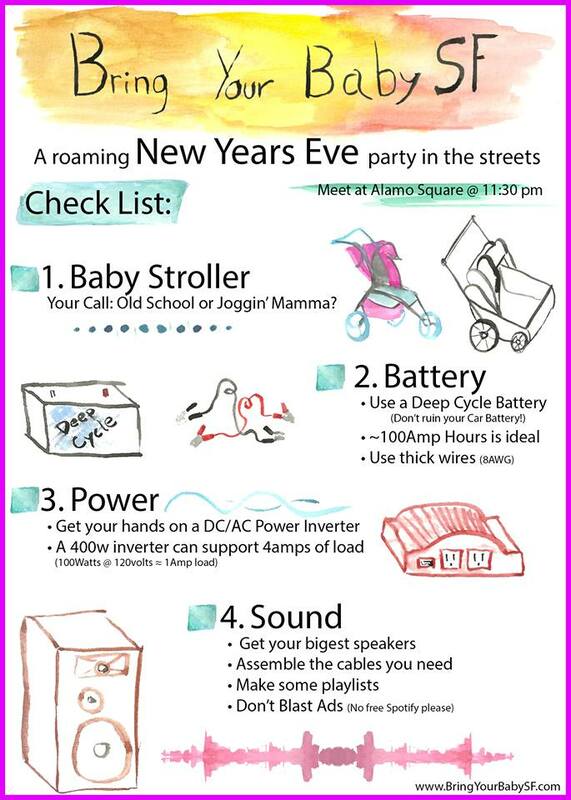 A distributed New Years Eve dance party rocked the streets of San Francisco in the first moments of 2017 using 4 independently built Whomp Babies, linked to a single audio source by wireless audio transmitters.